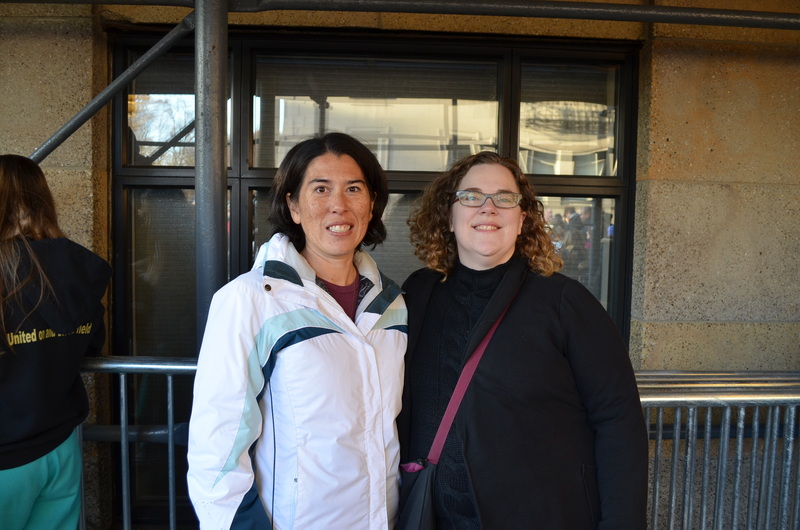 I got to spend a nice day with my mother-in-law, she and I took the Long Island Railroad into Manhattan, where we enjoyed a nice lunch, some walking around the city, and a Broadway show! 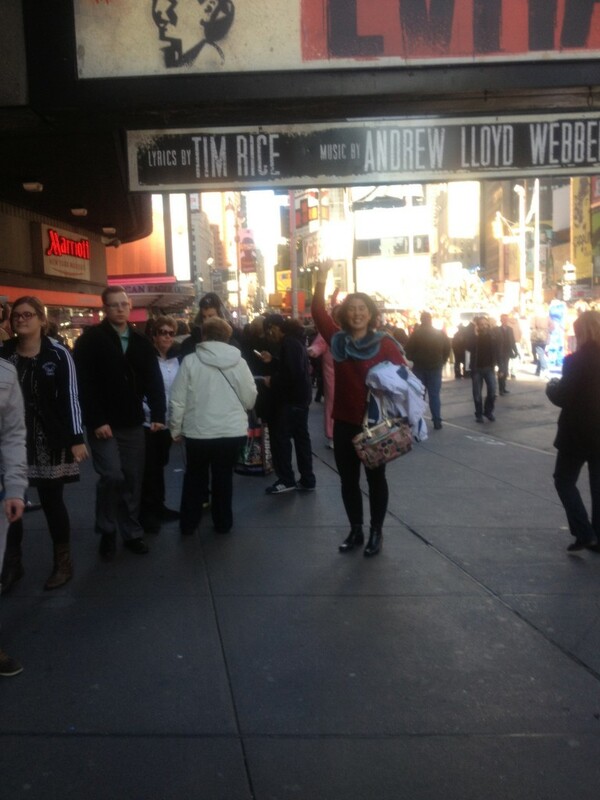 It was my first-ever Broadway show — I got to choose which show and I wanted to see the revival of Evita . This was mostly because Ricky Martin was playing Che, but around Labor Day we received a notification that Martin was vacationing the week of Thanksgiving. (And his last performance will be on January 26, 2013). That’s okay, I still love the musical and Dave’s Mom and I had a great time seeing it. 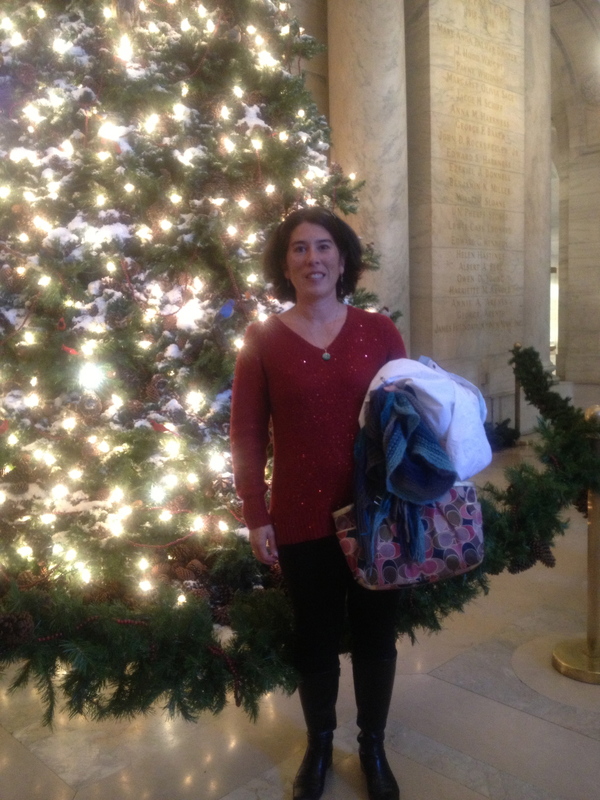 We also visited the NY Public Library and enjoyed an exhibit called Lunch Hour NYC. It was really really cool! Highly recommend (stay tuned for a GeekMom post about it)! 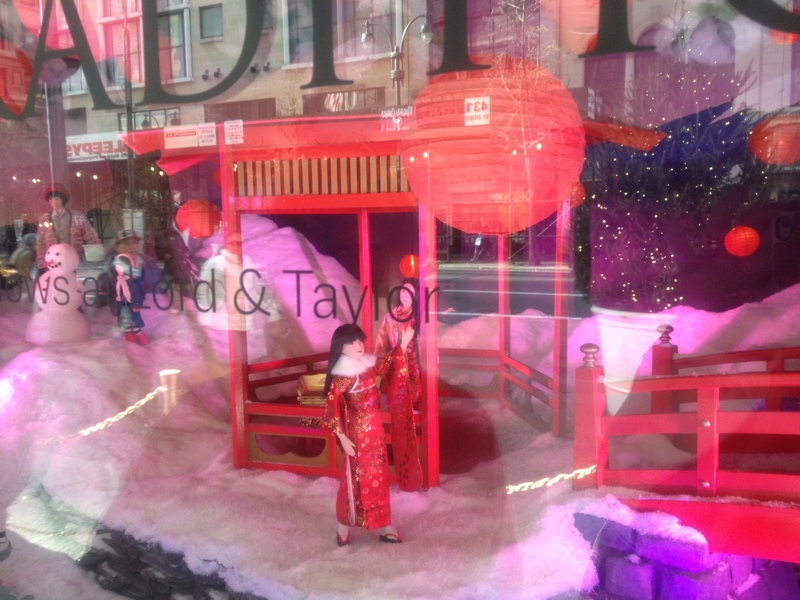 We enjoyed some decorated windows at Lord & Taylor. 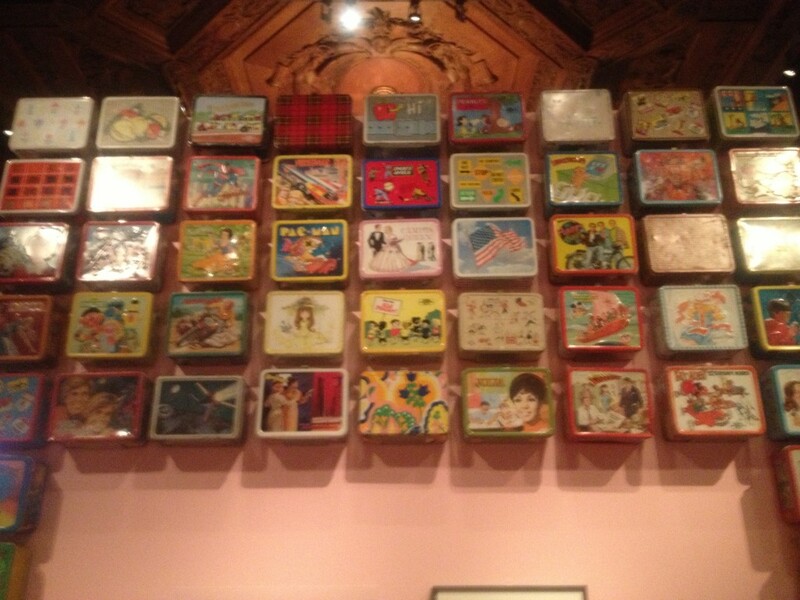 This was a GREAT display of metal lunchboxes at the Lunch Hour NYC exhibit at the NY Public Library! The memories came flooding back! I remember my Peanuts lunchbox, which is displayed on the top row! 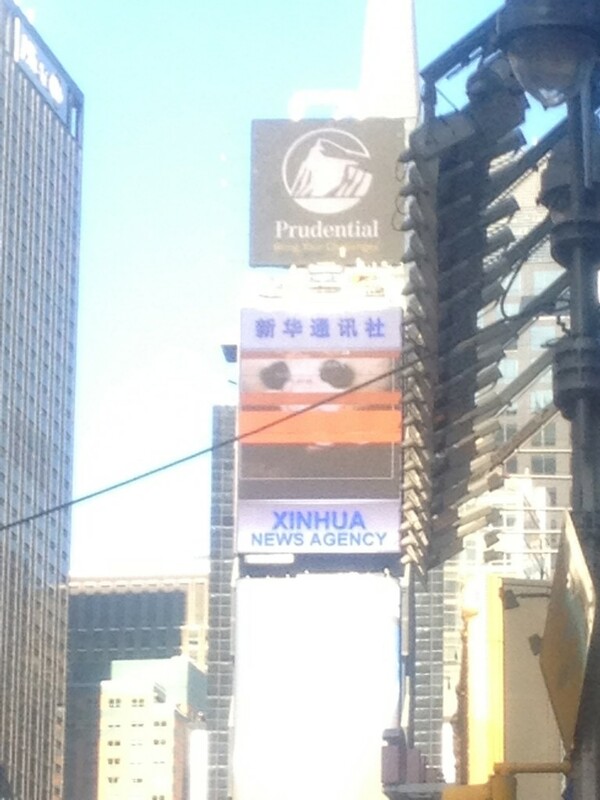 I was struck by this advertising space in Times Square, the Chinese bought it! After our day trip to the city on Wednesday, the very next morning Dave, the boys and I got up VERY early to take a train to the city for the Macy’s Thanksgiving Parade! We took a ~5:30am train into NYC, then took the Subway up to Lincoln Center, which was near our viewing spot right off Central Park West. 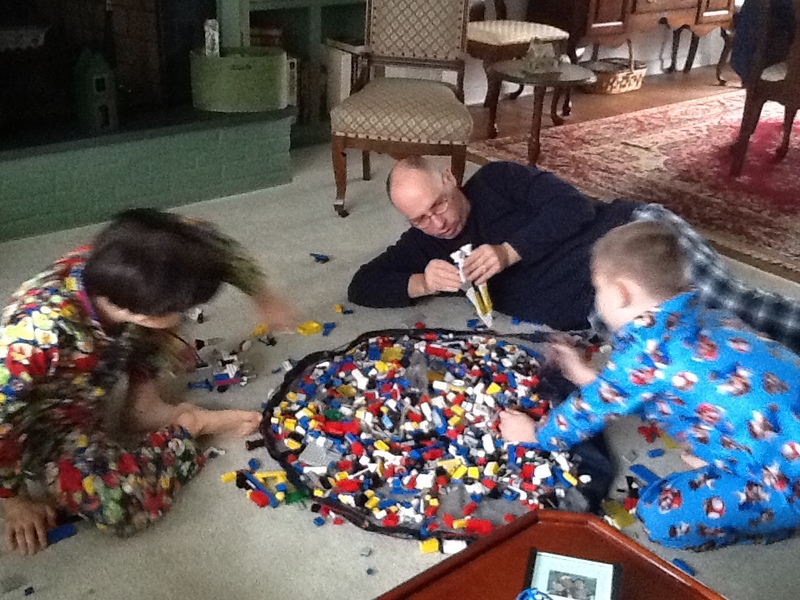 We were in place before 7:30am and the kids had their DSs and my iPad to keep them occupied during the wait. For anyone wondering, yes, seeing the parade is VERY crowded! We didn’t have the best views of the “low” stuff — the bands, clown, balloon handlers — but we had wonderful views of the balloons and the tall floats. We were standing in front of the “Ghostbusters Building“, but near a corner which gave us a view up the street. 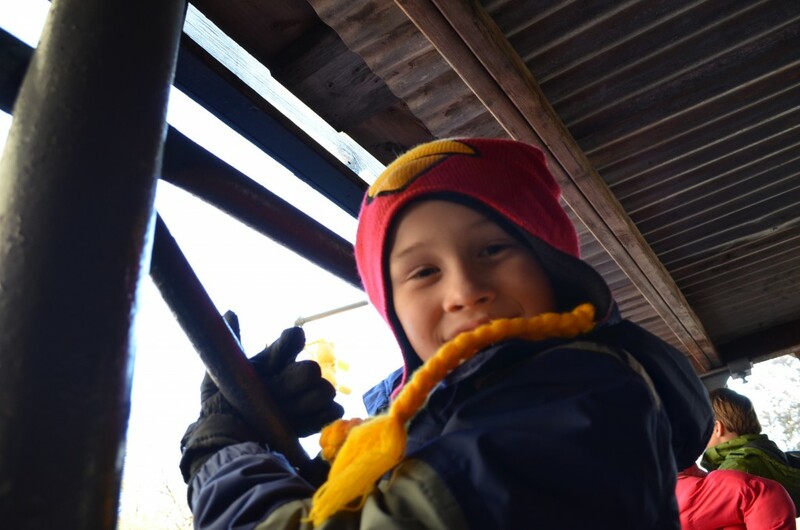 The building had a scaffolding in front — the kids were all over the scaffolding, and Timmy was no exception. He had the best view of the group of us! The weather was PERFECT! The balloons require light winds, which we had, and we had a sunny morning with temperatures in the upper 30s when we arrived, and it was near 50F by the time we left around 11am. 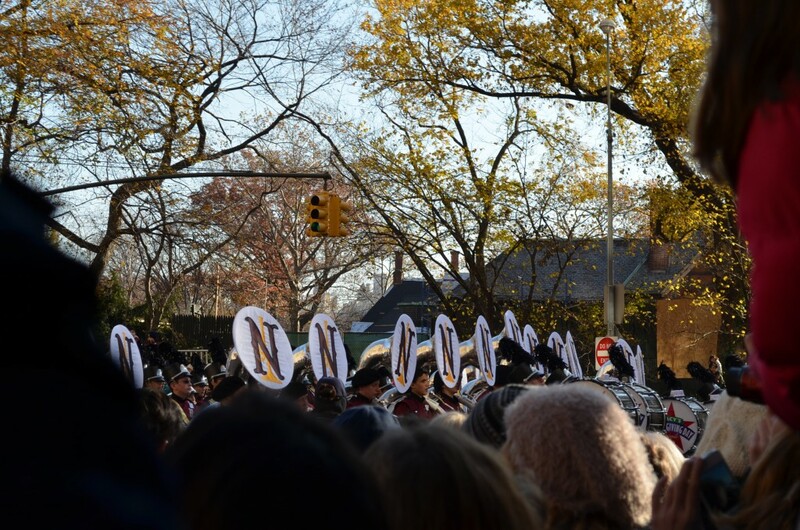 Enjoy some pictures of what we did get to see during the parade! There were 18 “giant balloons” along with a couple dozen other balloons. They are definitely the highlight of the parade. 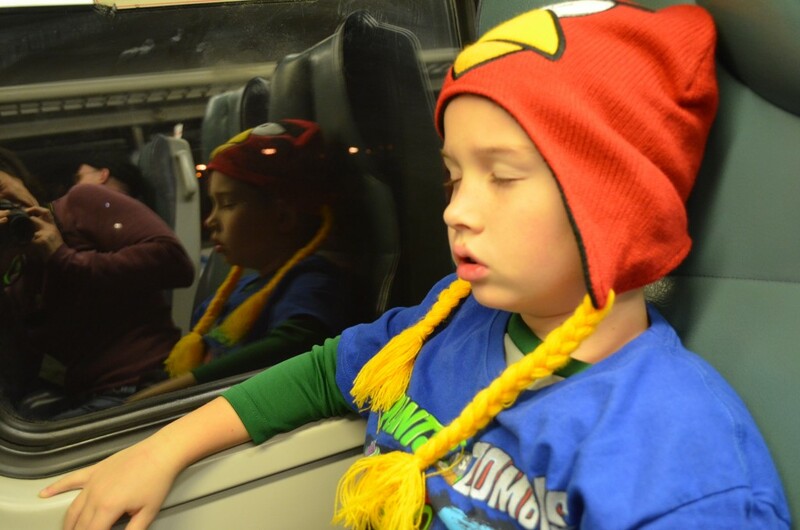 Timmy napped on the train on the way into the city. 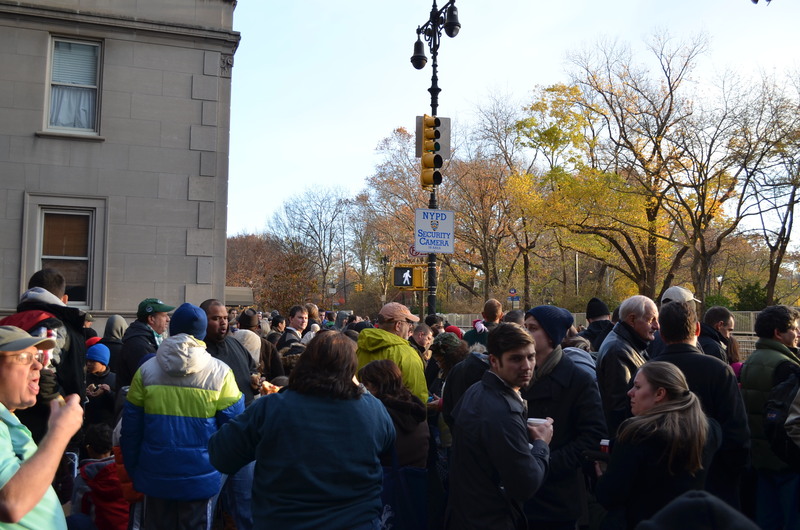 Here was the view we had — folks were coming with 5 gallon buckets and milk crates to stand on. A couple people brought 6′ ladders, which was a clever idea. 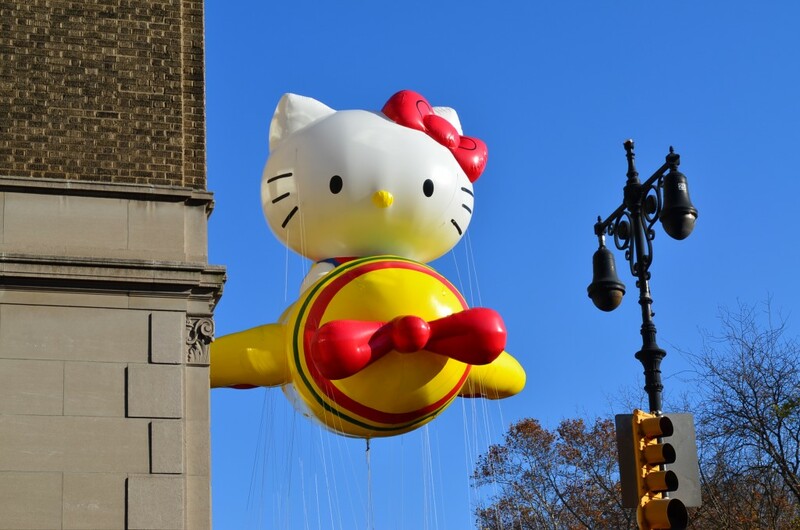 Hello Kitty in an airplane! How cute! A lot of folks don’t know that I’ve been a Hello Kitty fan almost as long as she’s been around (she’s been around since 1974). Look at that beautiful blue sky! This was about as good a view as I could get of the Niceville High School Band…they’re one of our local high schools! They were playing a patriotic tune, and they sounded great! 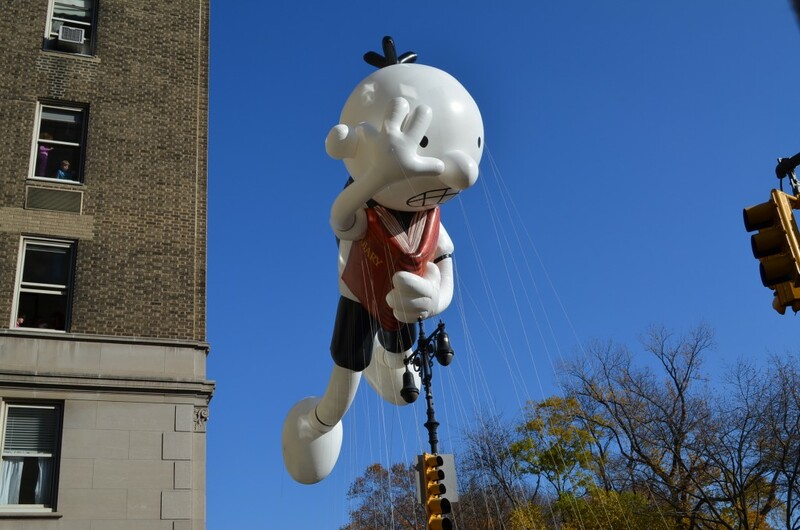 This was the first year in a long time that Snoopy wasn’t a giant balloon in the parade. 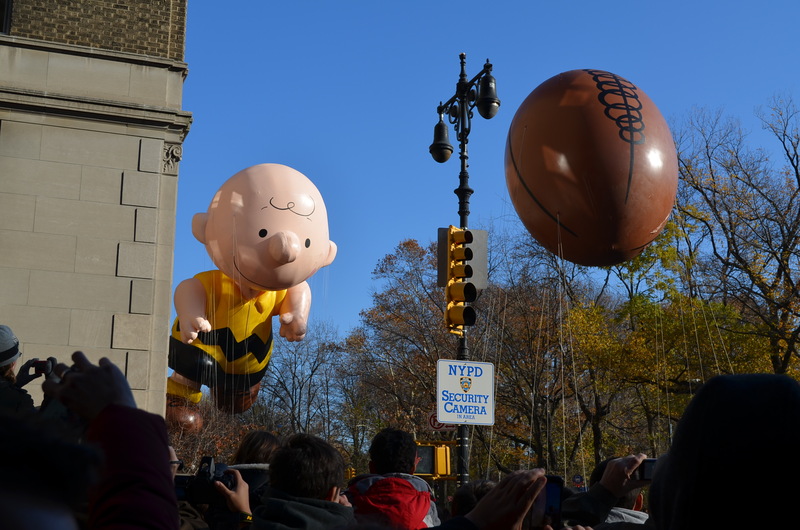 But Charlie Brown — and his football — were! 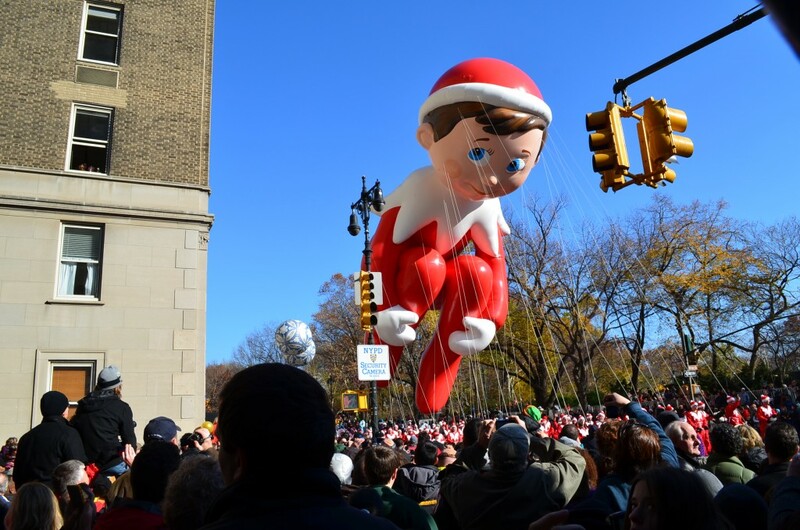 Timmy had the best view of all of us up on the scaffolding. You can see other kids behind him…also up high over the rest of us. 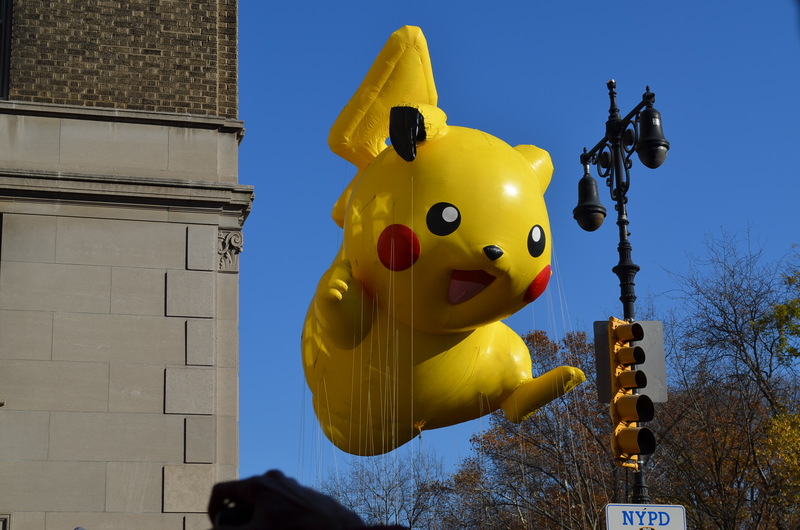 One of the boys’ favorites, Pikachu! 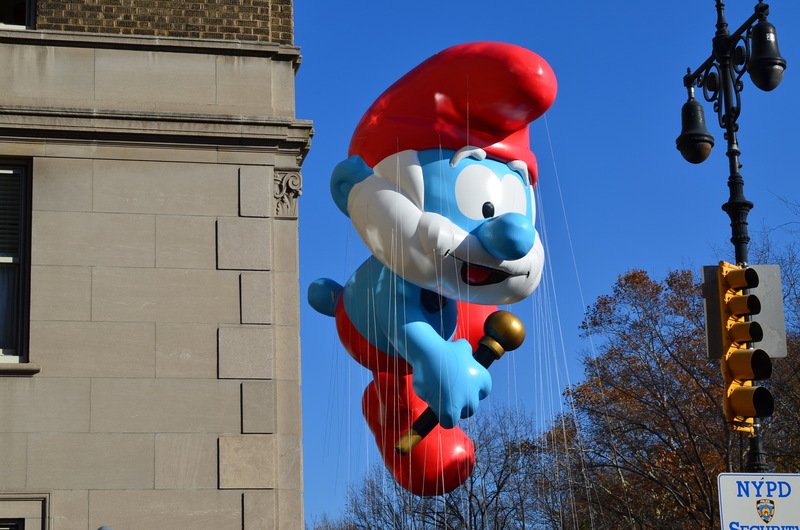 Papa Smurf was the tallest balloon in the parade. I think he was around 55′ tall. 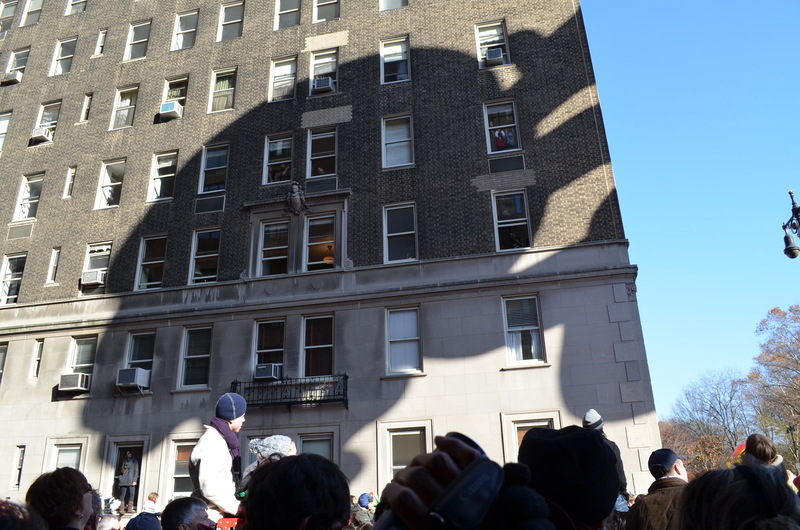 We got a kick out of the shadows the balloons cast on the building across the street from us. This is Papa Smurf. I have to show you this Elf on the Shelf. I know he’s supposed to squat, but I think he looks terrible in this position when in balloon form. Yay Buzz Lightyear! 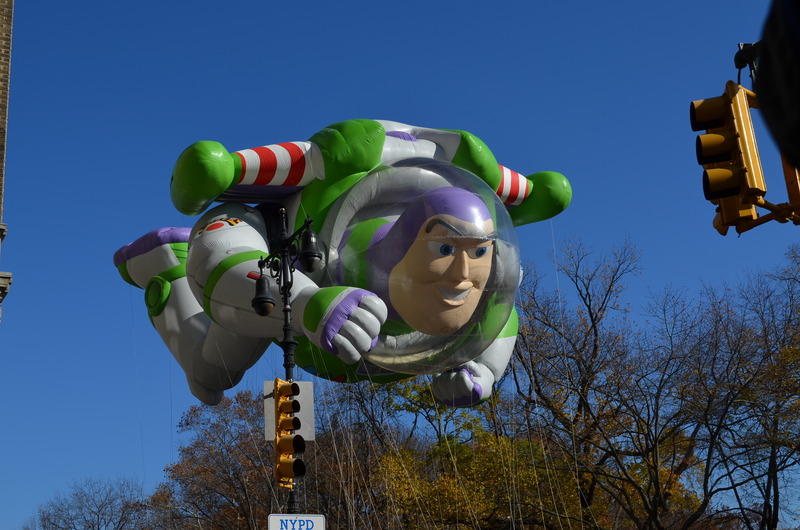 This was my favorite balloon of all — I was fascinated by the double ballooniness of Buzz’s helmet over his head. 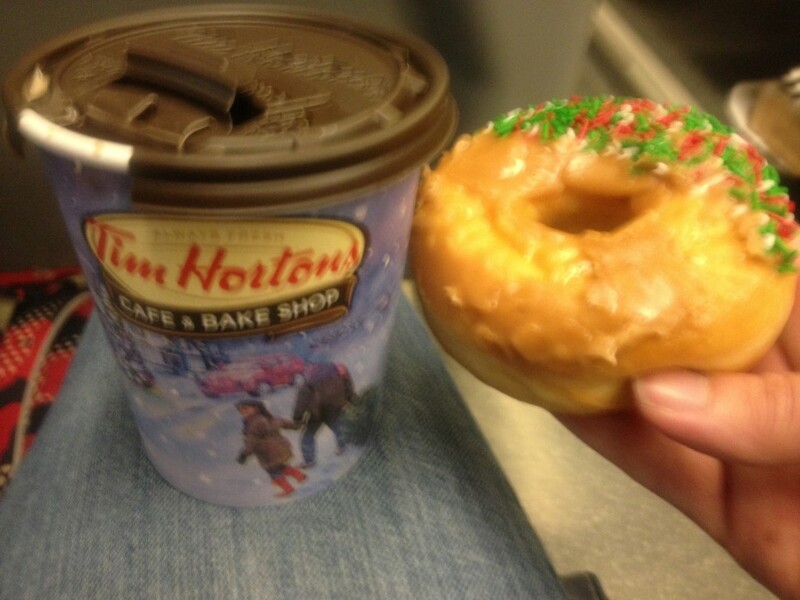 After the parade we were happy to find a Tim Horton’s in Penn Station — Dave and I love their maple-glazed donuts! 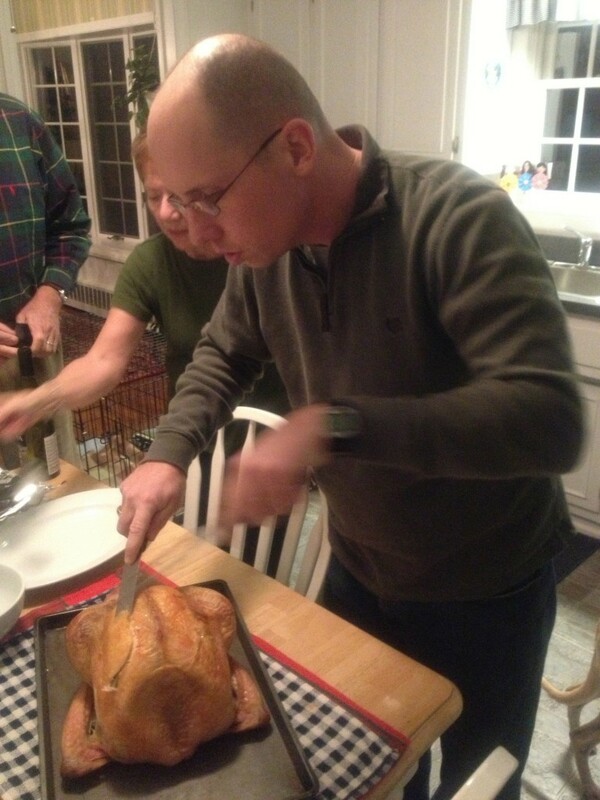 Dave is pretty good at carving turkey — he got lots of practice the week prior at the squadron Thanksgiving pot luck! 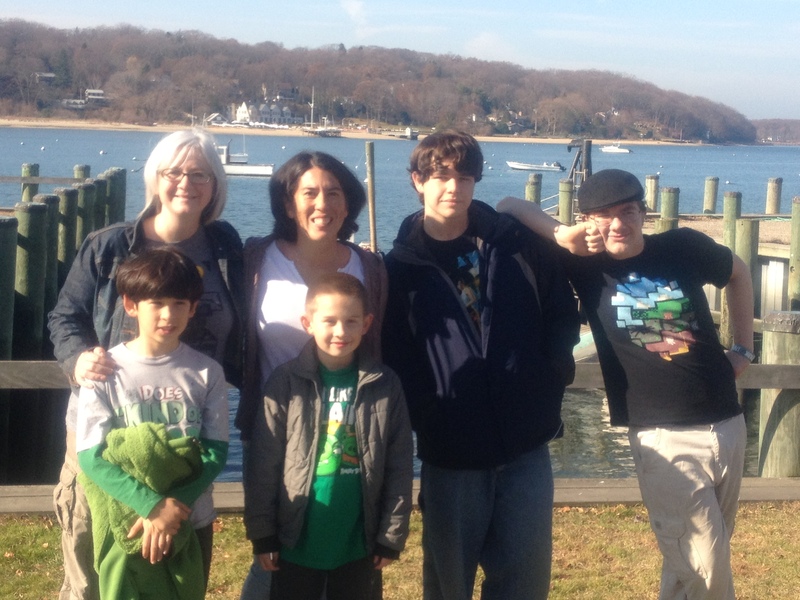 The following day, we met another fellow GeekMom writer, Andrea Schwalm Stolz, along with her family, in the town of Northport, which is on the north shore of Long Island and right on the water. After a great breakfast at a local diner, the kids had a good time playing, our husbands chatted about trains and climate change, and Andrea and I talked about everything from the just-released GeekMom book to the military Exceptional Family Member Program, which provides services to military family members with special needs. GeekMom Andrea and I (and our families) enjoyed a morning at Northport Harbor. 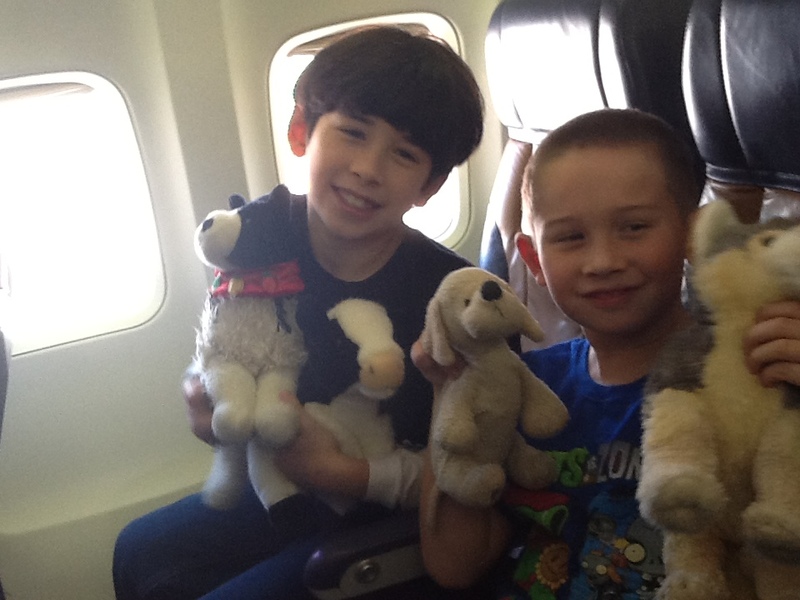 We flew home last Saturday and were glad to have Sunday to relax before we were back to the normal life on Monday. This coming weekend will be filled with holiday celebrations right here in Navarre — the boys and I are running the Navarre Jingle Bell Run in the morning, then will be back for the Christmas parade with our Cub Scout pack. Like with the Veteran’s Day Parade in Pensacola, I am the Cub Scout pack coordinator for this parade too. Compared to some of the other stuff I’m organized, this event was pretty easy.